This year’s 102.7 KIIS FM Wango Tango included major artists like Katy Perry, Maroon 5, Noah Cyrus, Alessia Cara, & The Backstreet Boys! With special performances that captured everyone’s heart. It’s a given that next year KIIS will have a tough time trying to top this year’s excellent line up! 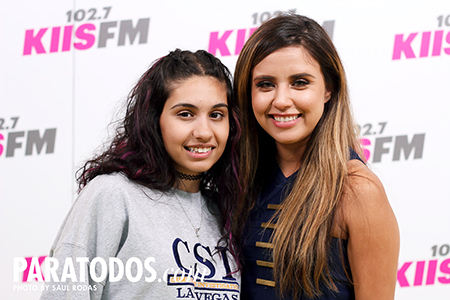 To Alessia Cara’s surprise, Joanka made her feel very grateful about her work and how powerful her songs can really be. Joanka Moon continued her interview, after Ms. Cara gave her a hug of comfort and appreciatation. Watch this very warm moment between the two.